The first ever official Nintendo Store is set to open in Tokyo, Japan. It’s the first time such a shop will be directly managed by Nintendo of Japan. 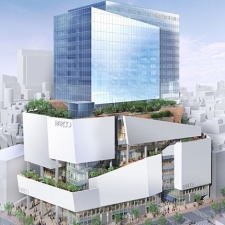 It will be based in the new Shibuya Parco building, with both due to open their doors in autumn 2019. The store will offer video game software and hardware, as well as various Nintendo merchandise. The console giant also aims to host events at the location and provide opportunities for customers to play games. “We are preparing to make this store, which will be a new base for communicating Nintendo information in Japan, an enjoyable place for a wide range of consumers,” read a statement from the company. While the store is the first of its kind in Japan, Nintendo has previously opened a shop in New York.